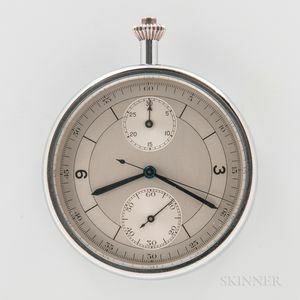 Very Rare and Unusual Pocket Chronograph, multi-tone silvered dial with fifth of a second outer track, constant seconds subsidiary dial at 6 and 30-minute counter at 12, blued-steel chronograph and hour and minute hands, 17-jewel Lemania/Omega caliber 39 with a dual transmission system, horizontal clutch for chronograph seconds wheel, and oscillating pinion for minute counter, housed in a display back case, dia. 48 mm. Literature: Dix Ecoles d'Horlogerie, Suisse Editions Simonin, 2010, p. 340. 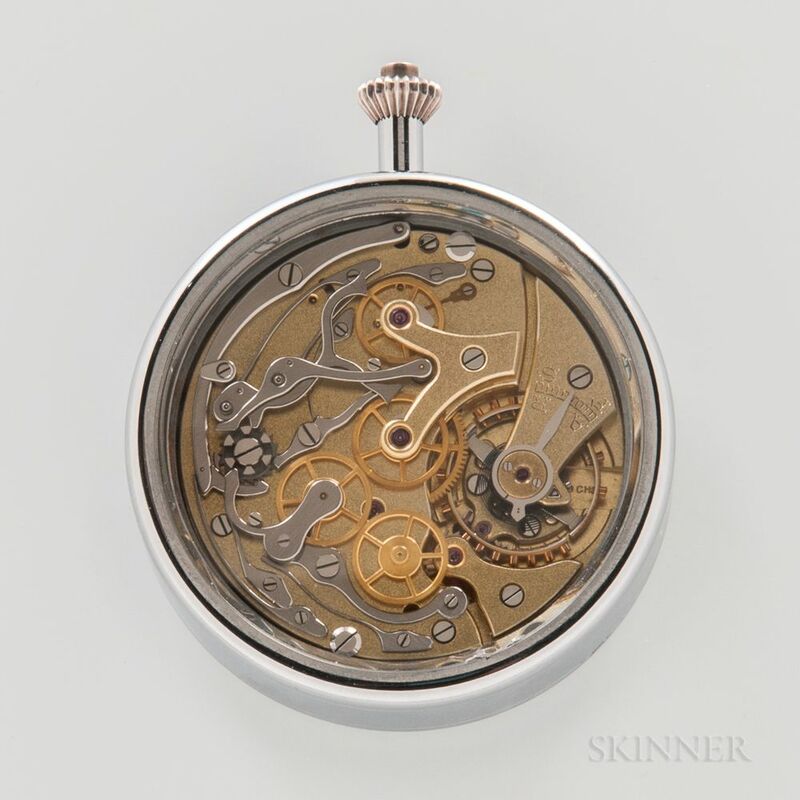 Note: Tony's handwritten description and the one in the book are incorrect– it reads 'the minute counter is semi-instantaneous.' 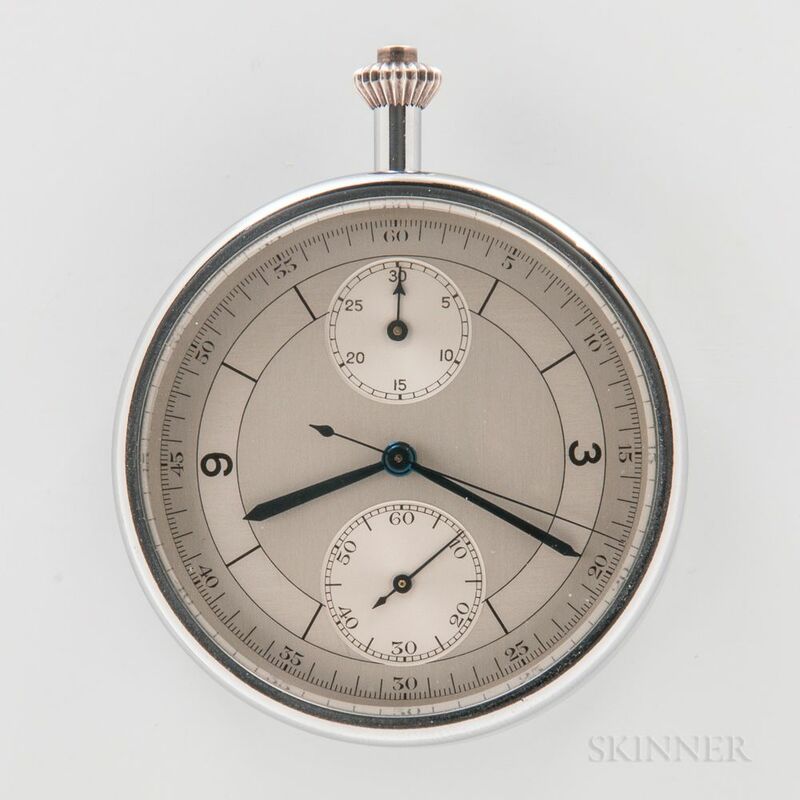 This watch was part of Tony Simonin's collection (#463) from the Swiss Watchmaking School. According to Tony, Omega made the movement available to the Watchmaking School in Bienne for the students to finish as their school watch.